Examining carefully before sending your car in auto transport is something very necessary and will not only prevent misunderstandings but make sure you can make a claim later. Driving the car by yourself in a long distance move not only involves risks but, at the same time may have more costs than with a transport company. This is why auto transport shipping from one state to another can save you from many problems. Auto transport shipping to another state is easier than overseas. 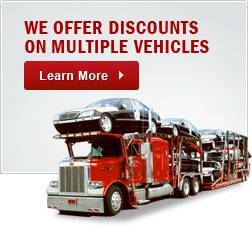 It may cost roughly between $600 to $1000 to transport your vehicle through a local car carrier. Before selecting a company try calling at least three of them to compare their prices. Once you have the required information, you can negotiate and ask for discounts if any. Also, before the auto shipping company comes to pick up the vehicle, remove all the unwanted items from the car, so they don’t damage your vehicle while in transit. Don’t forget to empty the gas tank to make the car lighter and safe for transport. The timing and date provided of the arrival is just an estimation and not accurate. Remember that someone should be present to receive the vehicle from the auto transport shipping company. Be ready to receive any phone call to meet you in person for the release of the vehicle. Do an inspection of the car once you have received your vehicle. Make sure it is free from damage and turn the car on to make sure it is working fine. Once you have done a complete inspection, you can sign the final document agreeing the good condition of arrival. 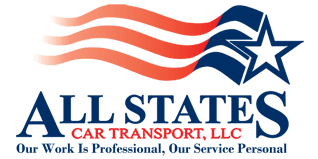 All States Car Transport makes sure all chosen auto transport shipping trailers are equipped to exceed your expectations in car shipping. We work with a widespread network of carriers that are the best to deliver your vehicle when needed. For more information call, 1-888-224-9917 or you may contact our office by simply filling out your order form HERE. Prepare your Car for Auto Transport Shipping	Overall rating:	4.7	out of 5 based on 9	reviews.